Printable colour PDF file - double sided A4, 2 x information sheets per page. Printable colour PDF files - single sided, available in A4 or A3. Girls Rock! Sydney camp logo pack, available in multiple sizes and formats. Are you a teacher? Do you have students you think might be interested in Girls Rock! Sydney? 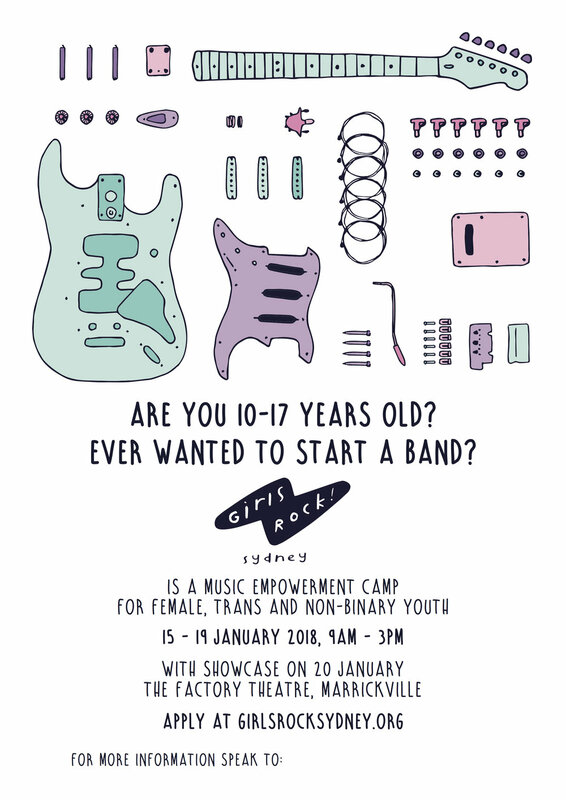 Request a School Pack from us at hello@girlsrocksydney.org. We respect your privacy. You information will not be shared with third parties and only used for the purposes of informing you about things related to Girls Rock! Sydney.